Workplace hazards come in many forms. For Goodyear Tire & Rubber Co., failing to install safety guards on machines and a lack of protective gear for employees resulted in nearly $70,000 in OSHA (Occupational Safety and Health Administration) penalties in early 2018. IndustryWeek.com reported in “OSHA Issues Seven Citations Against Goodyear” that in addition to the fine, the tire company had to comply with the cited safety regulations within fifteen days. Job hazard analysis is an integral part of the employment opportunities that will be open to students graduating with a bachelor’s degree in occupational health and safety. Certified safety specialists and technicians are expected to not only identify hazards and analyze their risk levels but also to educate and engage other workers in hazard identification. Potential hazards can be spotted immediately and dealt with before they result in catastrophe. Most people picture large factories filled with heavy equipment or outdoor construction zones riddled with deep pits and dangerous fumes when they hear the phrase “workplace hazards.” But hazards can be found in office buildings and retail establishments as well. While some of these hazards conform to the traditional image of workplace hazards, the ergonomic and work organization hazards categories branch out to almost any type of employment, from law office paralegals to grocery store cashiers. All workplace hazards present a potential danger to employees, but that doesn’t mean that all workplaces are dangerous for workers. Workplace safety awareness is continually prompting employers to identify hazards and assess risks so they can take steps to increase worker safety. When a company fails to provide a safe environment for workers, however, the penalties can be steep. Goodyear discovered that when the company was notified by OSHA that work areas were not clean and dry, proper protective gear was not provided to workers, proper review and inspection procedures were not followed, and passageways were not appropriately marked. A company can contest OSHA penalties, as Goodyear has done, but OSHA’s continuing inspections and reviews still serve their purpose by urging businesses to maintain a culture of safety at all times. Failing to properly anticipate and identify workplace hazards in time to prevent an incident is one of the most prevalent causes of injuries and illnesses in the corporate world. For this reason, occupational health and safety professionals strive to cultivate a culture of safety within their companies, where workers become involved in the process of instituting effective workplace safety practices. Collect and review existing information about hazards currently or likely to be present in the workplace. Conduct initial and periodic inspections of all operations, equipment, work areas, and facilities in order to identify new or recurring hazards. Consider hazards associated with emergency or non-routine situations, ranging from fires and explosions to weather emergencies and workplace violence/active shooter scenarios. Characterize the nature of identified hazards, identify interim control measures, and prioritize the hazards for control. These OSHA recommendations will help employers to better understand the safety situation in their workplace facilities, factories, and offices. Involving all workers in the process of hazard identification allows for those employees who work around hazards on a daily basis to express their fears and opinions. A Hazard Identification and Risk Assessment (HIRA) is a helpful process that involves assigning a potential risk score to each hazard or potential hazard based on the severity of the risk and the likeliness that an incident will occur, according to Chola Risk Services. As new health and safety program graduates enter the workforce in the coming years, employers and safety consulting firms will be looking to hire individuals who are qualified to identify and assess risks, outline new health and safety strategies, and engage workers in a corporate culture designed to accentuate safe workplace practices. Eastern Kentucky University’s online bachelor’s degree in occupational health and safety program is designed to teach students how to identify and analyze potential workplace hazards, infractions, and risks. 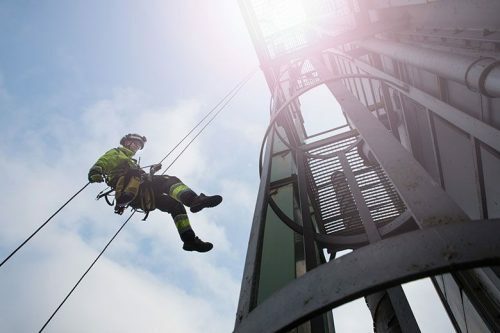 Industry-experienced safety professionals guide students through online health and safety courses, covering modern trends in employee engagement and the establishment of a safety culture in the workplace. For more information, contact EKU today.